Sole advisor to Genpact for the acquisition of ice Enterprise Solutions. 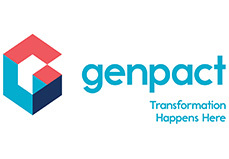 Genpact, a global provider of business and technology services, announced that it has acquired ICE Enterprise Solutions, a European SAP service provider. Avendus Advisors was the sole advisor to Genpact for the transaction. ICE, established in 1996, is an SAP Services Partner, Utilities Partner, and BW/SEM Partner in the Netherlands and an SAP Partner and StreamServe Partner in Spain. The company specializes in serving large Europe based multinationals in the manufacturing, utilities, oil & gas, insurance, and financial services industries. Avendus Advisors is an Investment Bank specializing in Private Equity Syndication, Cross-Border M&A, Fixed Income and Strategic Advisory services to corporates and funds. The company focuses on industries where Indian companies have a strategic growth advantage, including IT Services, IT Enabled Services, Pharmaceuticals and Healthcare, Knowledge Manufacturing, Automobiles and Automobile Components, Real Estate and Consumer Products and Services. Avendus clientele ranges from fast growing mid-cap companies to large international corporates and established private equity funds. It has served more than 100 corporates in cross border transactions and in raising growth capital, and has closed deals more US$ 500 Million during the last twelve months.